Beat This Caption Contest 226 – Caption Contest Funny Clever Witty Enter Today! 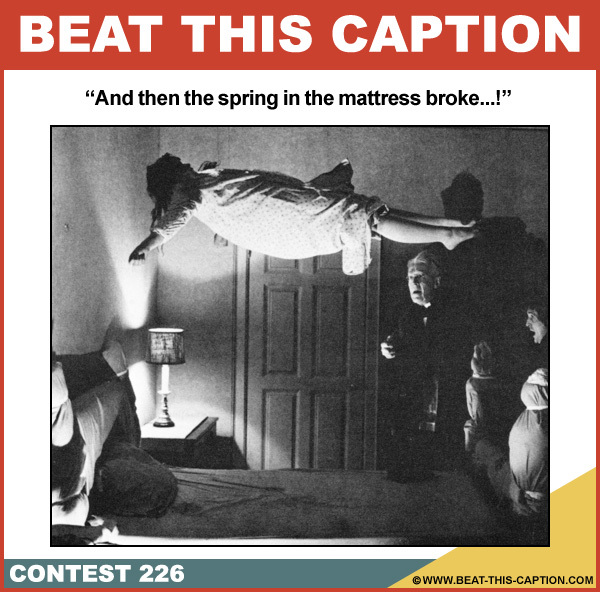 And then the spring in the mattress broke…! November 30th – December 6th 2014.